Gyalshing, 19 Feb (IPR): A total of 544 laptops were distributed at Chakung Science College and Soreng B. Ed. 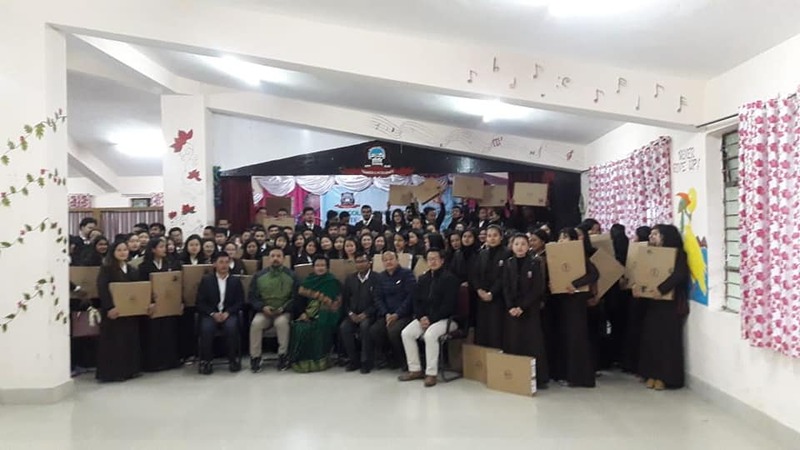 College by the HRDD officials on 18 Feb.
Around 249 Laptops were distributed to the students at Chakung Science College and 295 Laptops were handed over to the student of Soreng B. Ed. College as informed by Soreng Sub Divisional Office. 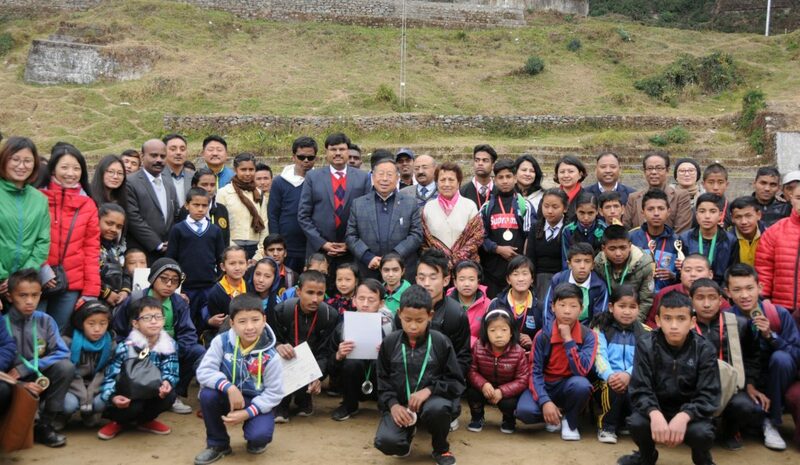 Gangtok, 18 Feb (IPR): The 2nd State Level Special Olympics for Children with Special Needs under inclusive education was held today at West Point Senior Secondary School. The event was organised by Samagra Shiksha, Human Resources Development Department and the main objective of the program was to provide a platform and opportunity to the special children to enhance their talents as well as mainstreaming them and bringing awareness on the need to organise such events amongst the public. The theme of the Special Olympics was “My disability has opened my eyes to see my abilities”. Disability Social Welfare Department, Dr M.B. Chettri, Vice President of Indian Cricket Association for Blind, Shri Vivek Kumar Singh, Coach from Jharkhand, Shri Raj Kumar Singh, officials, teachers along with children with special needs from various districts. Shiksha team for coming out with such a beneficial programme. He mentioned that the State government is always ready to help in every possible manner and stated that he was highly inspired to see children doing such great work despite their challenges. The Minister further thanked the parents and teachers for giving special care, attention and support to students so that they nurture their dreams and create a niche for themselves in the society despite challenges and hardships. He wished the best in future towards each and every individual and said, “Talent of children with special needs are equivalent to other children. Everyone of you present here have the spirit to excel, therefore you must keep your spirit alive throughout your life”. Additional Chief Secretary, HRDD, Shri G.P. Upadhyaya, gave his best wishes to the children and thanked the Samagra Shiksha for organising such an event for the Children with special needs. He hoped that such events would help the children in their overall development and would further encourage them to give their best for their coming future. Vice President of Indian Cricket Association for Blind, Shri Vivek Kumar Singh, also thanked the State government for giving such an immense platform to the children with special needs. He also mentioned that if the State government allows then the Association would like to further establish a Centre in the State and nurture the cricket talents of these special children. He also stated that he was very happy to see such talented students supported by such devoted volunteers,teachers and officials. Various sporting events like bouncy, football, race, cricket for blind students, etc., were held during the day and it is to be mentioned here that this is the first time in the State that cricket for blind students was organised. The event concluded with distribution of certificates and trophies to the winners and participants as well as mementos to the guests. 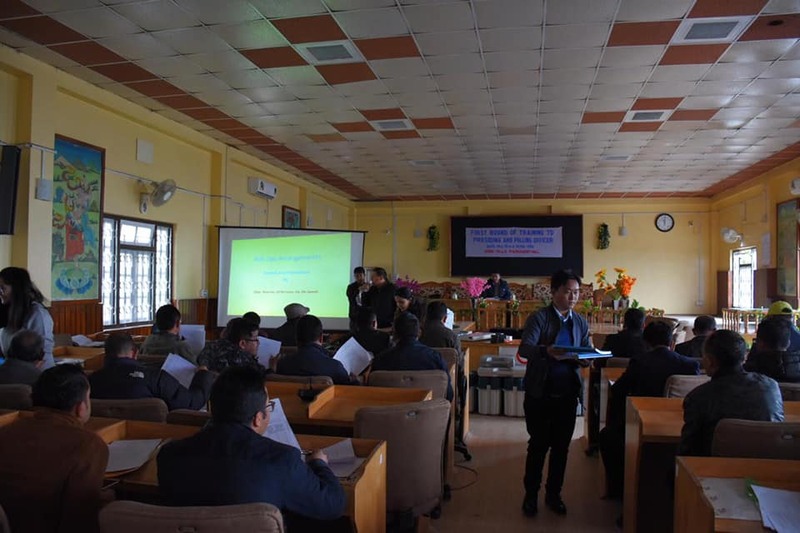 Gyalshing, 18 Feb (IPR): The first round of training for Presiding Officers and first Polling Officers commenced in West district from today at two venues namely Conference Hall, Zilla Bhawan and EVM warehouse, Kyongsa, Gyalshing. District Collector, West, Dr. A.B. Karki, along with Additional DC, Karma Lodey Lepcha, chaired the programme. Resource persons for the training were Shri Karma L. Lepcha (ADC West), Shri Tushar G. Nikhare (SDM Gyalshing), Smt Karma Sonam Choden Tongden Lepcha (D.E. Power), Shri Santosh Allay (Senior Welfare Officer) and Shri Dilip Sharma (DCSO). A total of 104 Presiding Officers and first Polling Officers attended the training on the first day. The Presiding Officers and first Polling Officer were briefed about their roles and responsibilities with respect to the conduct of election. The functioning of the EVM & VVPAT were also explained to them along with the hands-on training session was also conducted to familiarize EVM & VVPAT. 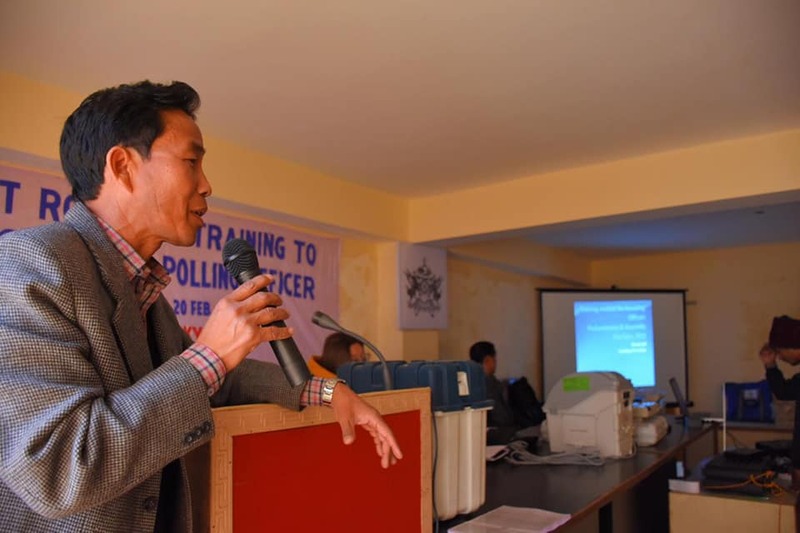 The significance of the conduct of mock poll was emphasized and all the necessary procedures pertaining to the polling process was demonstrated during the training. 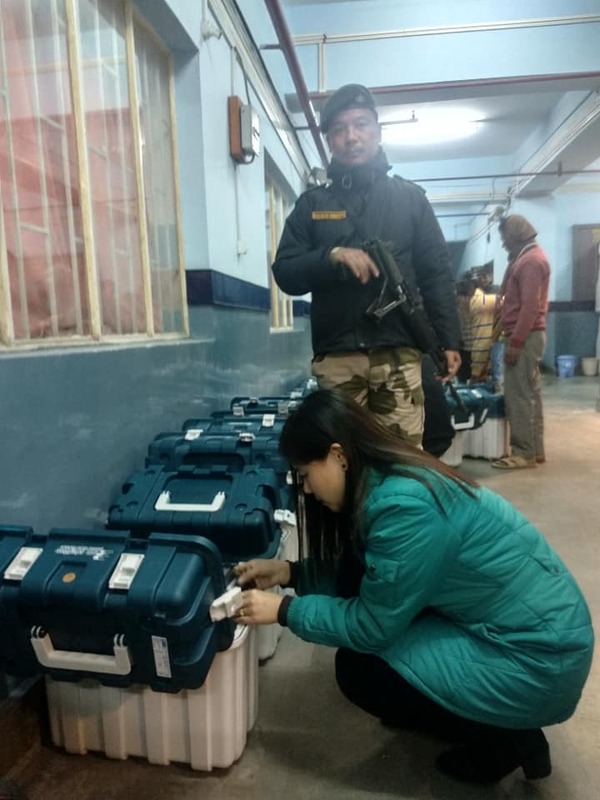 Ms. Sonam Palmu Bhutia (US, Election) displayed PowerPoint presentation on Voter Verifiable Paper Audit Trail (VVPAT) and gave hands-on training on Electronic Voting Machine (EVM) and VVPAT and its technical aspects to the participants. The three-daylong training will conclude on 20 Feb, 2019. Mangan, 17 Feb (IPR): The District Level Sports Competition which commenced on 11th February concluded today at Mangan Public ground. 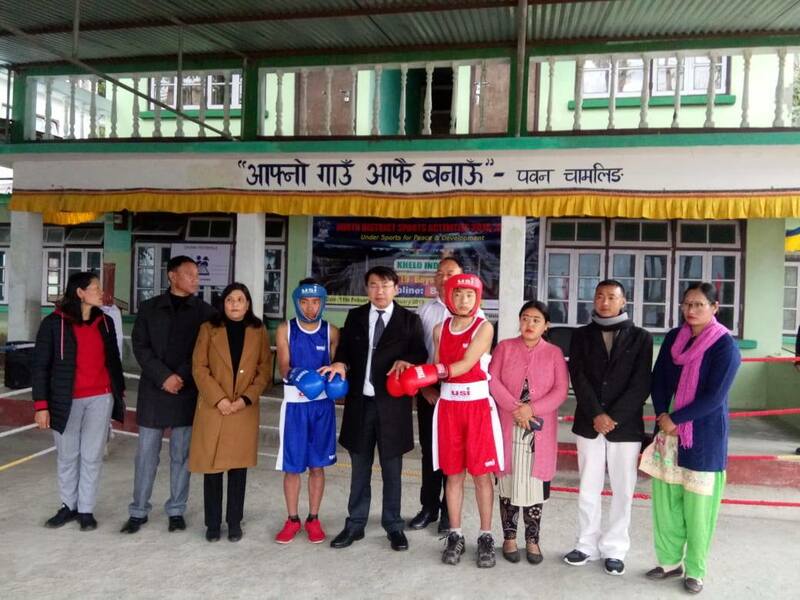 The competition was organised by the “Khelo India” District Committee under the chairmanship of District Collector, Shri Karma R. Bonpo, and Deputy Director, Sports and Youth Affairs Department, Mrs Janim Lepcha, as the Member Secretary. The competition carried on the theme “Sports for Peace and Development”. 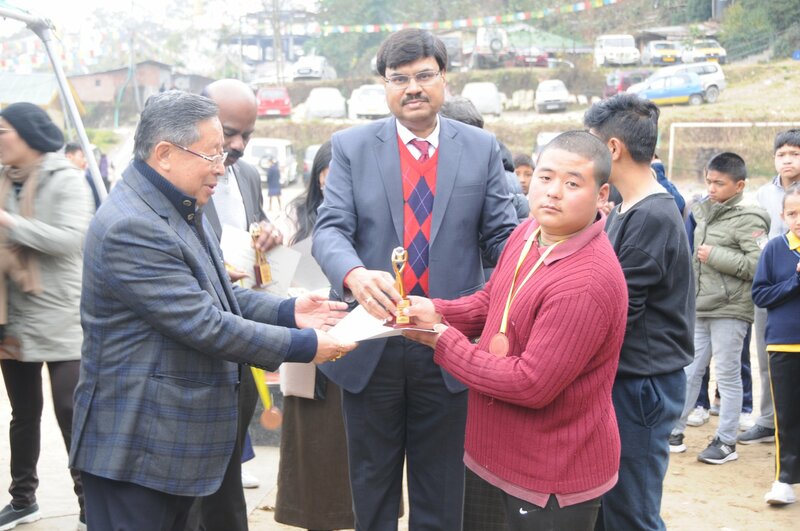 Competitions were held block wise in different categories viz Under 14 Athletics, Football, Table Tennis and for Under 19 category competitions were held in Athletics, Badminton, Football, Table tennis Taekwondo, Volleyball, Boxing and Archery. Residential facilities were provided to all the participants from the remote areas. Earlier, a special coaching camp was also held for the students from different blocks in various sports disciplines during the winter vacations. The Khelo India competitions have made a huge difference as it has attracted many youth into taking up sports in a serious way. The residential coaching facilities have enabled youths from remote areas to hone their skills. The coaches from the Sports & Youth Affairs Department have undertaken a tremendous job of developing the skills of the youths in the district.